Chance to buy a lovely Wine Estate in the heart of the Côte du Rhone, near Goudargues, in a very scenic part of France. In a dominant position, it boasts wonderful views over its park, vinyard and the countryside. Easy access via the motorway and Avignon TGV train station. Magnificent vineyard for sale perfectly located in the Languedoc, 10 minutes from beaches and the motorway and only 30 minutes from Montpellier and its international airport. A Bastide in bucolic site at heart of vineyard estate. This property has 370 hectares of contiguous land on the threshold of the Cevennes National Park and the UNESCO World Heritage Site of the Causses and Cevennes, equidistant between Montpellier and Nimes.A vineyard of 22 hectares of vines, largely planted in AOP Terrasses du Larzac all around the estate. Charming Château for sale with 2 additional houses. Beautiful 18/19th C. Chateau in Le Bourbonnais, for sale. The property has been fully restored, maintaining its original features and authenticity. Many outbuildings and stunning park. Ideal for family or commercial use. Charming 18th C. Chateau, Oil Mill and Guest House. 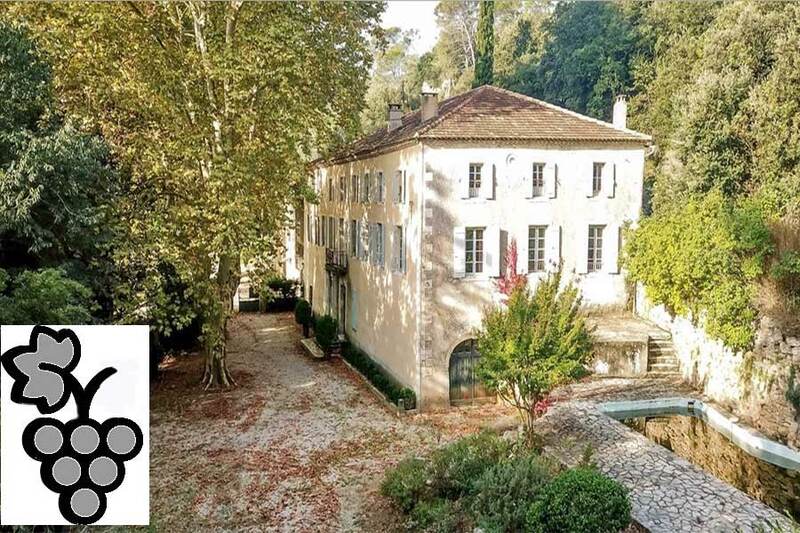 Elegant 18th century chateau for sale with 15th C. Oil mill and 4.5 ha. of walnuts. In the golden triangle of the Dordogne Valley, 11kms from the medieval town of Sarlat. As well as the chateau with 8 bedrooms, there is a guest house, and a charming stone outbuilding. A splendid opportunity to buy a Château with its vineyard, for sale with all modern comforts and spacious accommodation as well as a working vineyard of over one hectare. This lovely XVII C. property stands at the end of a lane in a superb hilltop position with views over the countryside of the Périgord Blanc. Vast convertible attic. Large outbuilding adjoining the neighbouring property. 20 mins Périgueux - 10 mins from St. Astier with all services. Charming Priory for sale with gites - Pays D'Auge. Charming Priory for sale on the borders of the Pays d'Auge, just 2.5hrs drive from Paris. On a hillside the property dates from the 13th Century.The Chapel and Tithe barn are all that remains. Delightful landscaped gardens. 3 Gites. The nearest shops are 6 kms away.